Ophiolites are oceanic crust and mantle that have been thrust up on to the land where they can now be studyied and examined. Jurassic Coast and Cornish Tin Mines - visits Kynance Cove where serpentized mantle rocks can be seen. 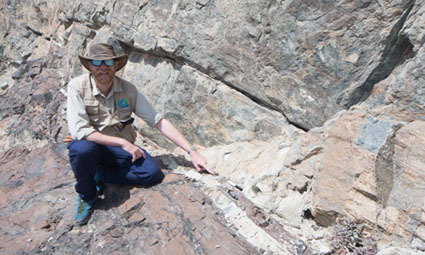 Ocean Crust and Mountains of Mantles - Oman is the best place in the world to see an ophiolite. Many of the locations on this trip are dedicated to studying and understanding this ophiolite.